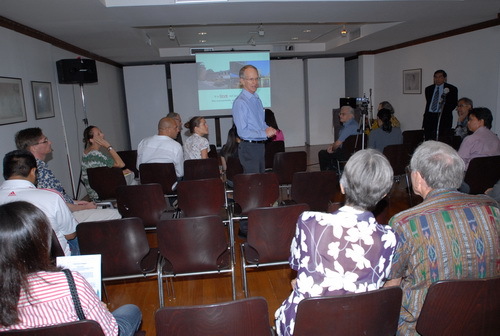 Professors John Miksic and Johannes Widodo of the National University of Singapore gave talks on urban history and conservation to launch SPAFA’s Capitals’ Archaeology Lecture Series to a packed Siam Society lecture room of over forty people. 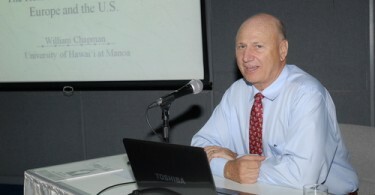 In his talk, ‘Urban Origins and Conservation in Singapore’, Professor John Miksic traced the first period of prosperity of Singapore to the 14th century, and examined its relations with the major powers in the region, Majapahit in Java and Ayutthaya in Thailand. 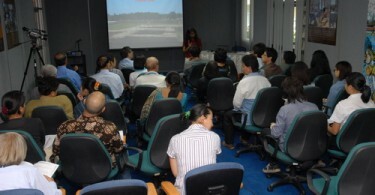 This was followed by Professor Johannes Widodo’s ‘Conservation in Singapore’, in which he described how the city faced rapid economic growth, and managed the physical transformation by seeking a balance between the demands of business/urban living and the needs to maintain links with the past.